Featuring solid double-layer housing, easy-paper-loading design and media auto-centering function, the compact and elegant PC42d printer is quite easy to operate. 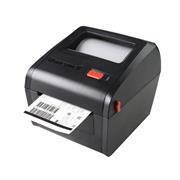 Concise but not simple, the powerful and reliable PC42d fits for various applications, frequently used for low-to-middle-intensity thermal printing applications, such as the thermal printing of electronic express & logistics waybill, thermal label printing for healthcare laboratory samples, wristbands and blood bank, retailing price tag and receipt printing, thermal printing of boarding passes, bag labels, parking passes for T&L applications. • Concise but not simple Compact and concise with powerful features, a perfect combination of economy and high quality. • Easy to use Featuring a solid double-layer housing, easy-paper-loading design and media auto-centering function, the compact and elegant PC42d printer is quite easy to operate. • A wide range of thermal media compatibility Together with a high-quality print head and advanced thermal management algorithms, it delivers durable print head and perfect printing results with variable levels of thermal media. • Integrated command language Supports ESim (EPL), ZSim (ZPL-II) and Direct Protocol (DP) with Chinese fonts preset. With affordable price and stable performance, HF600 is the ideal choice for various small and medium-sized enterprises with 2D scanning needs, including but not limited to E-membership card reading, mobile coupon scanning, warehousing and logistics document control. Voyager and VoyagerCG hand-held, single-line laser scanners feature patented automatic infrared activation and decode all standard 1D bar codes, including GS1 DataBar™. 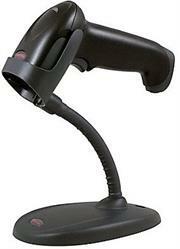 VoyagerCG also includes CodeGate® technology for menu scanning applications. CodeGate zeroes in on the desired code and completes data transmission with the push of a single button. 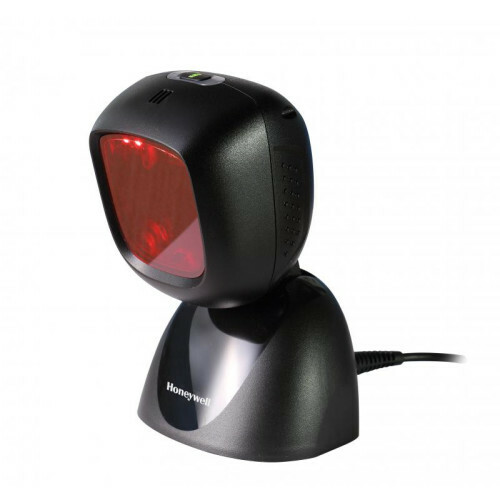 Building on the legacy of the world-renowned Voyager™ series of scanners, Honeywell’s Voyager 1250G single-line laser scanner provides a superior out-of-box experience and aggressive reading of linear bar codes, including larger bar codes up to 447 mm away. Optimized for fast scanning of linear bar codes, including poorly printed and damaged codes, the Voyager 1250g allows enterprises to minimize manual data entry, leading to increased productivity and reduction in errors. The ability to read distant bar codes improves worker comfort as cashiers reach to scan items in the bottom of carts, and inventory takers scan out-of-reach products on shelves. This plug and play scanner incorporates a USB interface design with automatic interface detection. Simply plug the cable into the host system and the Voyager 1250g will automatically configure itself to the appropriate interface, shortening the installation process.For users who require hands-free scanning, the stand can be assembled quickly and easily. The Honeywell YJ3300 is an affordable hand-held laser barcode scanner that offers an alternative to CCD scanners. Its functional ergonomic design enables itself to fit in a wide variety of applications. 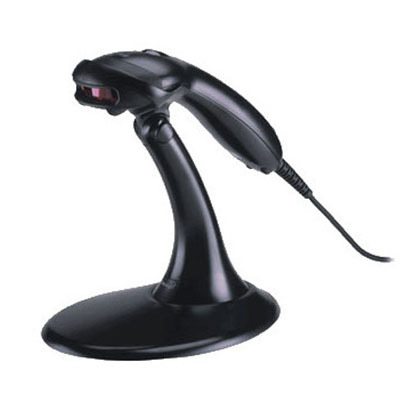 The Honeywell YJ3300 is the best choice for customers who are seeking to create paperless offices or who care to replace their current existing devices with a high-quality and cost-saving barcode scanner. 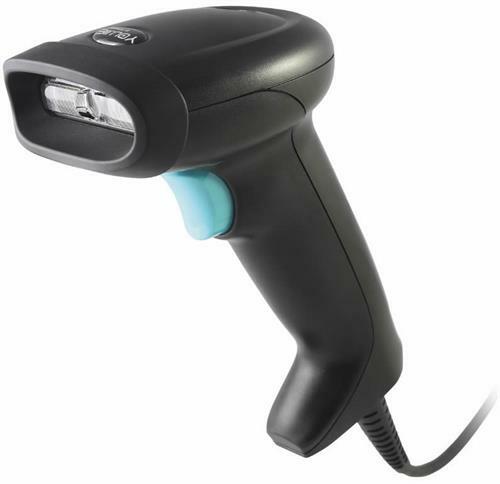 Equipped with world-class laser decoding technology, the Honeywell YJ3300 can be applied in a variety of environments.The Honeywell YJ3300’s pulsing-laser-line switch allows the user to easily target the desired barcode and complete data transmission with just the press of a button. This makes the Honeywell YJ3300 the optimal choice for menu scanning, point-of-sale, document processing, and inventory control. With improved laser scanning technology, the Honeywell YJ3300 has a longer working range and a wider scan field than a typical CCD. The width of the scan line grows as the scanner moves further away from the bar code. The ergonomic trigger and handle of the Honeywell YJ3300 fits comfortably in any user’s hands and provides easy to use operation. Additionally, the pulsing-laser-line switch design decreases the continuous operating time of the laser engine, thus increasing the time efficiency and reliability of the scanner. Integrated with a common interface, the YJ3300 ensures fast and easy connections with the host or PC. 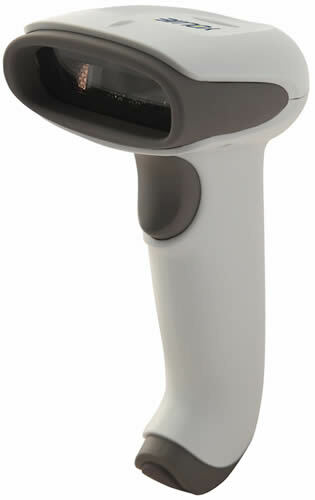 With a balance of performance, durability and ergonomics, the Honeywell HH360 is ideal for today’s popular O2O applications, meeting the scanning needs for switching between traditional printed bar codes and on-screen bar codes. HH360 provides hasslefree scanning performance in scan-intensive or light industrial applications as well. built for Chinese market, HH360 enables a fast, intuitive scanning out to 23.4 inches (600mm) on typical, damaged and high density bar codes with a single device.It also enables easy scanning on all linear bar codes presented on screen, without any need to buy a specific scanner.